Sgt. Gerald R. Langham. son of Mr. and Mrs. P.M. Langham, attended Frederick High School. 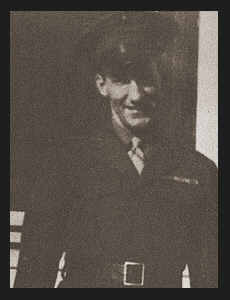 Entered Marines in 1942, trained, served in Guadalcanal, Hawaii, New Zealand, Saipan, Tinian, and San Diego, Cal. Awarded Asiactic Pacific Ribbon with four Battle Stars, Pres. Unit Citation with Oak Leaf Cluster. The Book, "Men and Women in World War II From Tillman County"
Please note: The content of this Site is for the sole purpose to keep this information available and free on the Net. You may link to this Website. No permission is given for any or all of this information to be sold in written form or on the Internet.